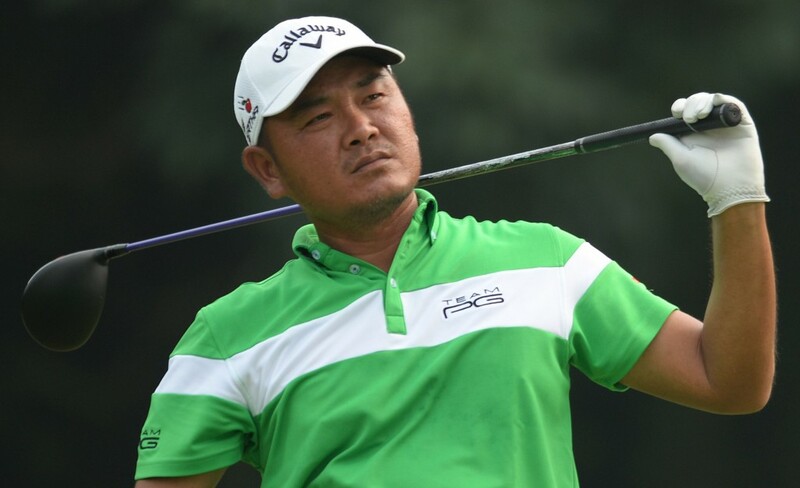 Danny Chia retained his two-stroke lead at the top of the leaderboard of the Professional Golf of Malaysia (PGM) Bukit Jawi Championship after the third round today. The top-ranked Malaysian carded a three-under 69 to climb to 14-under-par 202 in the RM200,000 event co-sanctioned with the Asian Development Tour, at Bukit Jawi Golf Resort on Penang. American Casey O’Toole also shot a 69 to stay within striking distance of the lead, with one round to go. On a day when the top-four players all carded 69s, Thailand’s Itthipat Buranatanyarat remained third with a 206 total and his compatriot Poom Saksansin stayed fourth, a stroke further back on nine-under 207. Kemarol Baharin, in a tie for ninth on six-under 210, was the next best-placed Malaysian. Arie Irawan, who is battling Chia for the top spot by a Malaysian in the world rankings, shot a third round even-par 72 and had to settle for a tie of 15th place on three-under 213. Meanwhile, Chia, who opened with rounds of 67 and 66, said he was happy with how he was hitting the ball and only lamented a few missed putts on the greens. “These greens can be tricky,” he said. “I had a bit of trouble reading them, but not too much and the pin placements too were rather difficulty. But overall I am happy with how things are going. “I did not hit the ball as solidly as I did yesterday, but I am still in a good position going into the final round with a two-shot lead. Chia, who will play in the Asia-Pacific Open Mitsubishi Diamond Cup in Japan in a fortnight’s time, is seeking a third victory on the PGM Tour this season following his success at the Panasonic Open Malaysia – Tournament of Champions in January and the inaugural Matchplay Championship in June.